A beautiful Spring day in Auckland - please Spring stay for at least the weekend as you have been a long time coming. First up today was a little garden time. Still playing catch up in the getting everything in the ground for a bountiful harvest. Today some lettuce (Little Gem, Baby Cos, Cocarde, Rouge D'Hiver) and potatoes in too. Hoping for potatoes by around Christmas...or perhaps New Year as we are a little late! Lettuce should only be a week or so away. Rocket planted last week is already popping up. And finally got the hanging baskets planted. My Dad has been on at me to get them done and as Mum and Dad arrive the week after next thought I'd better get on to it. With a little advice form the lovely people at Kings Plant Barn we have Lilac Ivy Geranium, Verbena, Petunia and Lobelia. Looking forward to a spectacular trailing display of colour - just have to remember regular watering. As part of the general Spring cleanse I also found quite a few packets of flower seeds from years gone by and thought I might as well just use them rather than have them collect any more dust. So they have all been scattered around the front garden. It will be interesting to see what happens. Fingers crossed for lots of flowers. 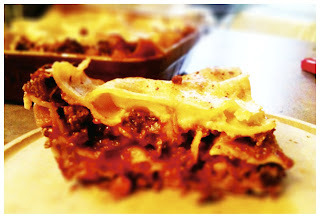 As is want to happen every now and then the urge comes over me to make some lasagne. It happens every so often and it is just such a comforting dish to make. 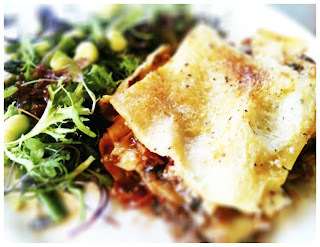 Inspiration possibly came from over at the Smitten Kitchen where there was mushroom lasagne on the menu this week. But I was craving the full monty. I love a the rich, tomatoey ragu with the creamy bechamel. This lasagne is most definitely not heavy or dry, more rich and moist with a balance between the pasta, the ragu and the bechamel, and oh so satisfying. I am not one for lasagne that is all pasta and little else it can then become heavy and claggy. This one is perfect with a simple green salad and I have some delicious onion bread picked up at Sabato today. They were celebrating all things Spanish and as always some delectable morsels up for tasting - the cutest ( and tastiest) chorizio and olive empanadas. A chickpea and chorizio salad was particularly delicious and I always like to have something new and different on the salad front. It is only fair to share it so I hope to get around to that one soon. This is easy to make and individual portions can be popped in the freezer for on hand ready meals. As for the recipe inspired by Mum, except for the mushrooms of which she is not a fan. Serves 4-6 depending on how hungry everyone is. 1/2 cup grated Parmesan, plus a little more for the top. 1 box/packet lasagne sheets,,,or you could make your own!, cooked to al dente (or I found some "no pre cook" lasagne sheets, even easier. Fry the onion, celery and carrot for 5 minutes on a medium heat until the onions are translucent. Add the garlic and fry for a moment or so. Add the mince and season with salt and pepper,turn up the heat to get some colour on the mince and then turn it back down to medium. 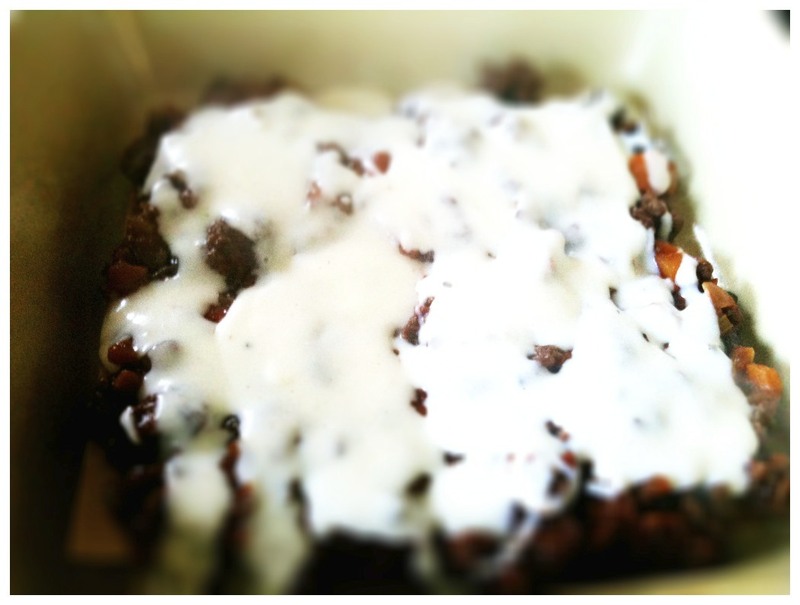 Once the mince is browned add the bay leaves, tomato paste and Worcestershire Sauce. Not very Italian I know but I like it, just adds a little more depth and richness to the ragu. Then add the canned tomatoes and red wine. 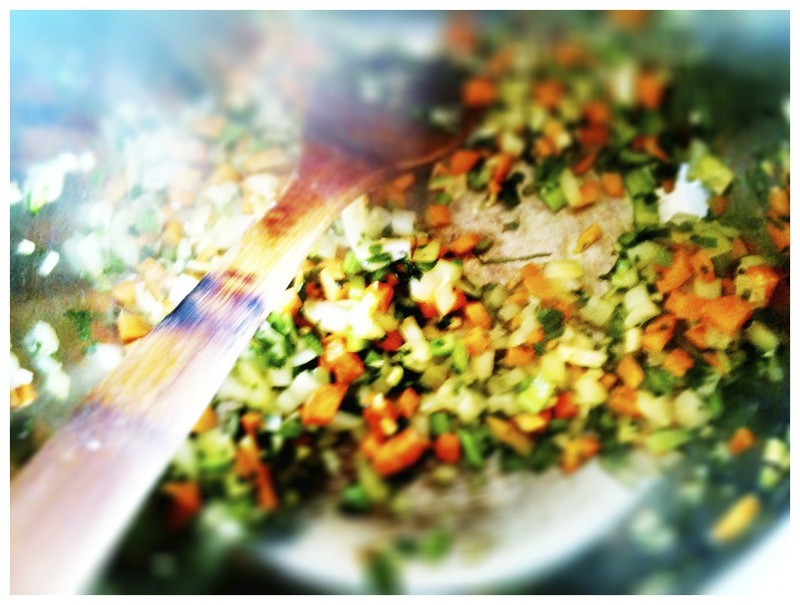 Simmer for about 60 minutes until the sauce is thick and rich. For the bechamel melt the butter in a pan and add the flour and stir it in to a roux - it will all come together as per picture below. 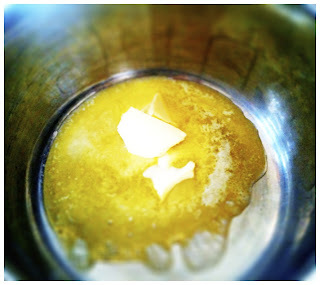 This is what will make the sauce thick, silky and creamy. 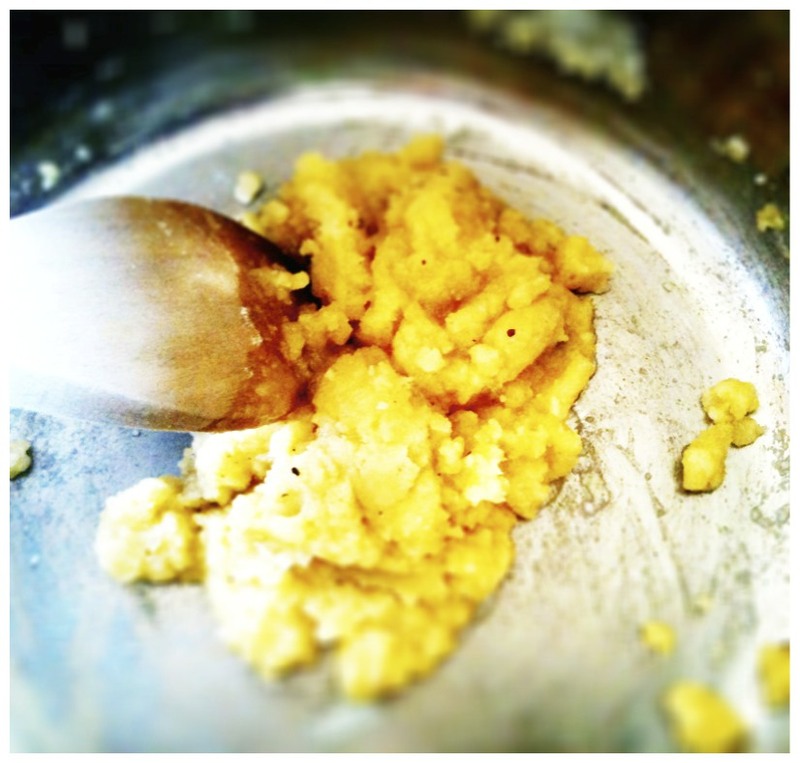 Slowly add the milk, whisking constantly to avoid getting a lumpy sauce. Add the bay leaf, nutmeg and salt and pepper. 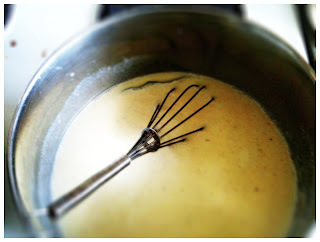 Continue to simmer and constantly whisk over medium heat until the sauce is thick, smooth and creamy, about 10 minutes. The sauce should be thick enough to coat the back of wooden spoon. Stir in the grated Parmesan until it is melted. 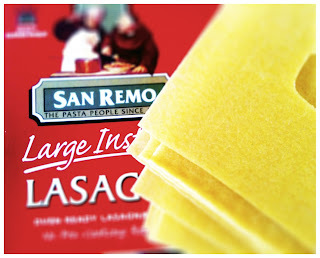 To assemble: lay lasagne sheets on the bottom of a baking dish. 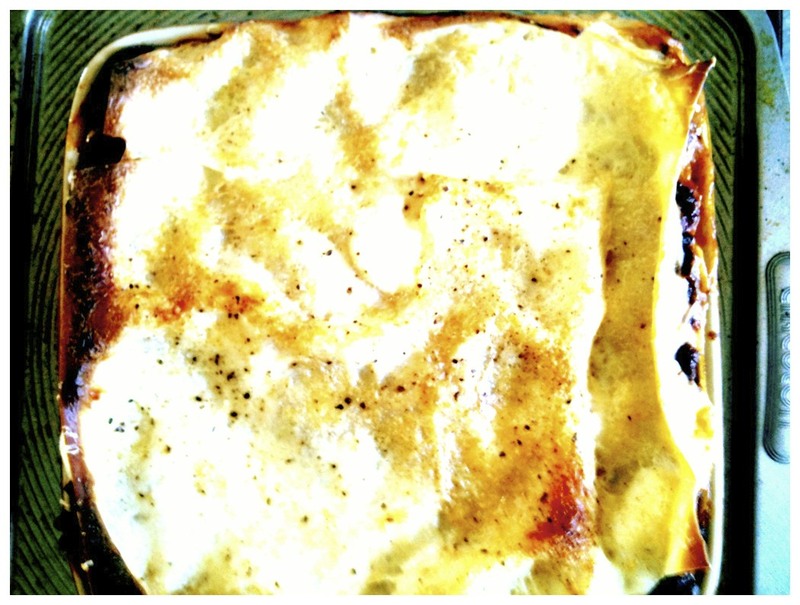 Top with a layer of ragu and a layer of bechamel. Then another layer of pasta, ragu and bechamel and again. Top with a final layer of pasta and bechamel and a good sprinkle of freshly grated Parmesan. Cook in a pre heated 190°C. oven for 45 minutes until golden.